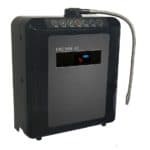 Just bought yourself a brand new Life Ionizer? Congratulations! Be sure to confirm your purchase and register your warranty here. Warranty Information: Confidence in our warranty and return policy means we can offer you the highest quality machines along with peace of mind. Many companies will hide behind their warranty and return policy, but at Life Ionizers we want to provide you with an easy to understand and comprehensive warranty and return policy. No “limitations” or “exclusions” or fine print, what you see is what you get! We have an extensive team of technicians on standby in the rare case that you run into any minor issues, and a 75 day return policy* to assure your Next Generation Life Ionizer is everything you hoped it would be. With over 20 years in the industry, we are able to assure the highest production quality in our own certified ISO factory. Our Ionizers are built to last a lifetime. Our improved Guaranteed Lifetime Warranty applies to Next Generation ionizers purchased on or after July 22, 2013. 7 year full parts and labor. Worry-free lifetime warranty on parts and labor. 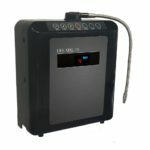 Life LC-11 Professional Series Ionizer: Five (5) years – full parts and labor. Life 7700C and 7700UC: Five (5) years – full parts and labor. Life 9100 and 9200: Ten (10) years – full parts and labor. Life 5100: Seven (7) years – full parts and labor. Life 3000: One (1) year – full parts and labor. Life Fuzion: Five (5) years – full parts and labor. Life Next Generation Pitcher of Life: One (1) year – full parts and labor. Dr. Life’s Vortex Water Optimizer: One (1) year – full parts and labor. Dolphin Whole Home Systems: Ten (10) year parts warranty on the tank and a three (3) year parts warranty on the valve. The media is covered by a replacement warranty for nine (9) months for the fluoride/heavy metal system and eighteen (18) months for the Volatile Organic Chemical (VOC) filter system under normal, residential operating conditions. The unit must be installed by a licensed plumber and to local building codes. For best results and warranty the unit must be protected from freezing. Warranty dates begin on date of installation. Don’t see your product? Give us a call at +44 (01273) 900050 and we can help you find what you’re looking for. Internal filters must be changed at least annually from point of purchase. 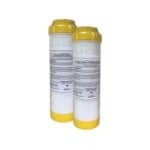 Clear filter housings must be replaced annually from point of purchase. White filter housings must be replaced every two years from point of purchase. Remember to use authorized Life Ionizer filters and replacement parts to maintain your warranty. Warranty only applies to units purchased through Life Ionizers or an official Life Ionizers Dealer. Unfortunately, failure to comply with these procedures can cause damage or build-up in your machine, and will compromise the status of your warranty. Our technologically advanced systems are built to last and if any of our clients experiences difficulties or performance issues, we have technicians that are available to solve your situation along with online videos and support pages to answer any of your questions. We will fix or replace your ionizer with a comparable ionizer at no cost to you (excluding shipping). The only item not covered would be accidental damage or negligence**. We have the best Lifetime Warranty in the industry. Our Life Ionizers are built for a lifetime of service! We invite you to try out our new range of LIFE Ionizers™ and enjoy the benefits for 75 days (60 days for UK sales). We are so sure that you will be satisfied with your ionizer that we offer a 75 day money-back guarantee on all retail sales (60 days for UK sales). 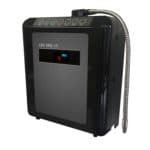 Our technicians custom build each unit to your specifications at the time of the order and calibrate your electrolysis chamber and add options like UV Light Technology. They also perform a full water report and then custom design your filtration system for optimum water quality. Your 75 day return period begins at the time your unit is delivered. If at any time within the first 75 days (60 days for UK sales) of your purchase you wish to return your unit, we will give you a full refund, minus a 15% return fee and processing fee. No return can be accepted without our prior authorization. We will not accept unauthorized returns. All sales are final when purchased wholesale, or through TimePayment lease plans and are non-refundable. Items purchased at a reduced retail cost are not considered wholesale, and our standard return policy still applies. Financing through Affirm is eligible for refunds per our refund policy. All filters, bottles, pumps, whole home systems and accessories are non-refundable. All Commercial Ionizers, Whole-Sale Orders, Custom Whole Home Systems, Vending Machines are non-returnable and have stated warranties. All warranty service on commercial Ionizers and vending machines is performed in Carlsbad, CA. It is the customer’s responsibility to transport the machine to and from the place of repair. Customer is responsible for shipping & handling costs in the case of a return. 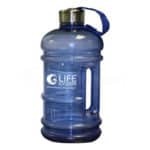 Although our Pitcher of Life Alkaline Water Pitcher, Water for Life Stainless Steel Bottles and the Dr. Life Vortex Water Optimizer each have full one-year warranties on parts and labor, for sanitary reasons all sales on the products are final with no returns available. We are the oldest and largest distributors of alkaline home, commercial and industrial water ionizers in the World with the finest quality service. We value our customers and are very grateful for referrals. We promote such a generous warranties and return policies with confidence based on 20 years of growth and happy testimonials. A note to our international customers: Please be aware that you are responsible to pay for all international customs, government fees, levies and/or any other fees that are incurred. *Includes 15% restocking fee. 75 day (60 days for UK sales) period applies to Ionizers purchased on or after 11/1/2016. 60 day period applies to purchases before that date. **Negligence includes, but is not limited to: leaving too close to flames; dropping unit; leaving outdoors in extreme heat or cold; and other negligence that damages the unit. By placing an order, transmitting an e-mail to or by calling Life Ionizers to ask a question concerning our products, I understand the person who replies to me, may not be a licensed healthcare provider & has not examined me or discussed my health condition with me in detail. I also understand that I am not receiving medical advice, but wellness information to aid my quest in reaching my level of optimal health. Therefore, I acknowledge that the suggestions for use of health products, water systems, dietary supplements, and/or information about nutrition or other supplements I may receive are not intended as a substitute for consultation with a qualified healthcare provider. I will also read the entire label of the products I purchase for my use. If I experience any unusual symptoms after following the label directions, I will stop taking the product and call my healthcare provider. I hereby release Life Ionizers and it’s affiliates from any liability related to the suggestions or information that I receive. For customers out of the country please check with your local customs offices to inquire about customs charges and brokerage fees.The products and statements made about specific products on this web site have not been evaluated by the United States Food and Drug Administration (FDA) and are not intended to diagnose, treat, cure or prevent disease. All information provided on this web site or any information contained on or in any product label or packaging is for informational purposes only and is not intended as a substitute for advice from your physician or other health care professional. You should not use the information on this web site for diagnosis or treatment of any health problem. Always consult with a healthcare professional before starting the use of any health products, any new health programs, vitamins, supplements, diet, or exercise program, before taking any medication, or if you have or suspect you might have a health problem. Any testimonials on this web site are based on individual results and do not constitute a guarantee that you will achieve the same results.